Elected to the Thirty-Sixth Parliament for Cockburn on 10 February 2001 in succession to William Ian Thomas (retired). Re-elected 2005, 2008, 2013, 2017. Parliamentary Secretary to the Minister for Agriculture; Forestry and Fisheries; the Midwest; Wheatbelt; Great Southern from 16 February 2001 to 27 June 2003. Parliamentary Secretary to the Minister for Environment; Heritage; Water Resources from 16 February 2001 to 27 June 2003. 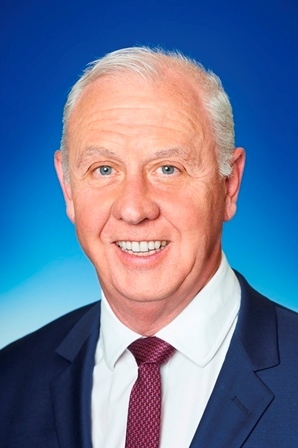 Parliamentary Secretary to the Minister for Agriculture; Forestry and Fisheries; the Midwest; Wheatbelt; Great Southern from 27 June 2003 to 10 March 2003. Parliamentary Secretary to the Minister for Environment from 27 June 2003 to 10 March 2003. Minister for Housing and Works; Heritage; Minister Assisting the Minister for Planning and Infrastructure from 10 March 2005 to 3 February 2006. Minister for Energy; Science and Innovation from 3 February 2006 to 13 December 2006. Minister for Energy; Resources; Industry and Enterprise from 13 December 2006 to 6 September 2008. Minister for Emergency Services; Corrective Services from 17 March 2017. Shadow Minister for Water; Consumer Protection; Industrial Relations from 26 September 2008 to 27 January 2012. Shadow Minister for Water; Industrial Relations; Corrective Services from 27 January 2012 to 9 April 2013. Shadow Minister for Housing; Local Jobs; Training and Workforce Development from 9 April 2013 to 11 March 2017. Member, Procedure and Privileges Committee from 13 November 2008 to 30 January 2013. Member, Economics and Industry Standing Committee from 9 May 2013 to 30 January 2017. (Deputy Chair from 15 May 2013 to 30 January 2017). 25 February 1956, Whyteleafe, Surrey, UK. Arrived in Western Australia, October 1980. BA (Hons). Trade Union Official. The electorate of Cockburn is located in the South Metropolitan Region and includes all or part of the City of Cockburn. Comprising of all or parts of the localities of Beeliar, Cockburn Central, Coogee, Munster, South Lake, Spearwood, Success, and Yangebup. Enrolment (2017) 27,914; area: 45 sq kms.